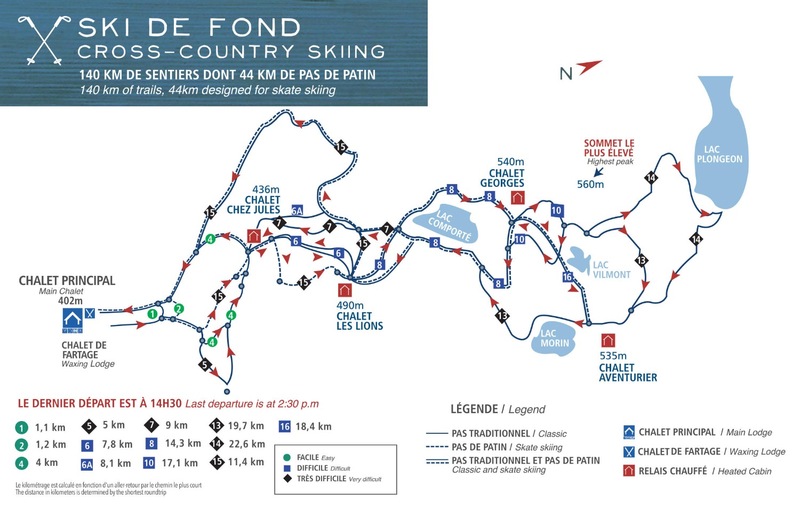 With 140 km of ski runs, 46 km of which for skate skiing, Mont Grand-Fonds attracts Nordic ski lovers. Run # 15 presents, with its 11.4 kilometers of difficult level, a challenge for seasoned cross-country skiers. In wood-heated relays, they will warm up with hot chocolate, coffee and chicken broth, on the house!